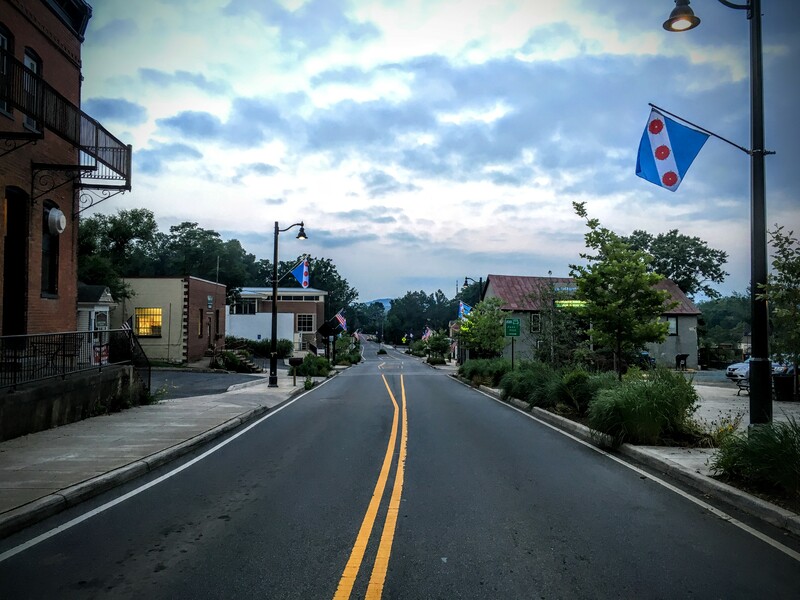 Why do you love Crozet? Crozet is at an interesting crossroads. People move here – and stay here – in large part because of the community, the mountains, the setting, the amenities, and the small town feel. What are the things about Crozet that you/we want to protect? To prioritize? I love Crozet. I love the community. I want Crozet to remain special. It’s going to change; how we change and grow is critical. The answers below to the question, “Why do you love Crozet?” are tremendous. Click through, spend some time. To be and remain a community, infrastructure needs to be a critical component of how we grow – bike lanes and sidewalks are crucial to this – (read this!). Connecting humans needs to be at the forefront of how we grow, rather than a casual afterthought. Think about this: in the Crozet Board of Trade meeting on 18 July, Frank Stoner, who is developing Barnes Lumber, mentioned that the Crozet design guidelines call for 10 foot sidewalks whereas VDOT calls for 5 foot sidewalks … if VDOT won’t maintain the sidewalks, who will? We are in challenging times. Part 1, if you’re interested. I am currently in Golden, Colorado, and I noticed that one area (not the downtown) has 10-foot sidewalks. It is wonderful. So much room for me on my feet, other runners, dogwalkers, and casual bicyclers. I don’t know anything about maintenance; I just happened to notice that sidewalk was HUGE (in a very pleasant way), and then it was funny to see it mentioned in this column. If I were to list 5 ‘Likes’ again, I would put ’20 Minutes from Charlottesville/UVA at #2 following the Crozet Library. Sweet as Crozet is, were it not for the proximity to culture and knowledge, we would have chosen another University Community. The Library and the view from the Library of course. The coffee shops, orchards, bookstore and great Value. The many artisans who live here. That Crozet Arts is here and we don’t have to drive across the mountain or into Charlottesville to find superb classes in ballet, cello, guitar, yoga, painting and drama. – affordability of housing (in theory) … someone could save hundreds of dollars a month by not having a car, or by having only one car. But … Crozet needs *employers*. Crozet does not have an ‘urban business center. Retail on the Square, along 240, and even in DCI Phase I, does not amount to an ‘urban business center’ What developer will venture the capital risk to build a 21C business park, or even just 1 building, on spec, in Crozet. With Cville/UVa our competition just 20 minutes away, what is our competitive advantage? Economics necessarily will rule the day. Previous PostPrevious CCAC Meeting 20 July 2016 – What Are CCAC Roles & Goals?